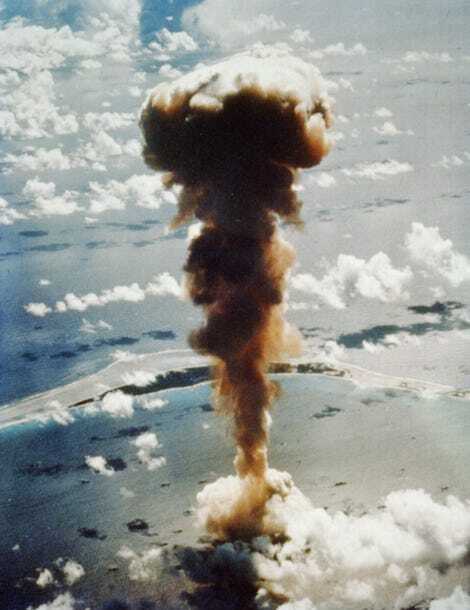 There are currently about 15,000 nuclear warheads on Earth — enough to blow our planet to kingdom come. It’s complete overkill, literally. But how many nukes is enough to deter an enemy? And how many nukes could an aggressor nation drop on an enemy before the effects of nuclear winter come back to haunt them? A new study tackles these grim questions, but the answers aren’t as satisfying or clear cut as the researchers would like to believe. By “best-case scenario,” Pearce is describing a purely hypothetical (and completely unrealistic) situation in which, in addition to not launching a retaliatory strike, the aggressor nation is not beset by ensuing terrorist attacks, mass civil unrest, minimal nuclear fallout, and the myriad other things that would follow in the wake of an unmet nuclear attack. The authors sought to determine the maximum number of nukes that could be dropped on an enemy before a nuclear winter sets in, and by consequence, causes the collapse of trade, industry, and agriculture back home.